Protect your business against check fraud with Positive Pay, an affordable, easy to use service that enables you to send a file of your issued checks to the Bank through your Business Online Banking. When your checks are presented for payment at the Bank, they are electronically compared against your list of issued checks. 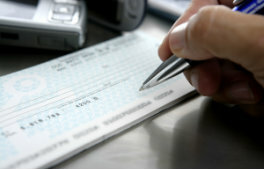 If a check that is presented for payment is not on your list, you can decide whether to pay or return the check.